Asia Medical Specialists is a team of medical practitioners who are sub-specialised in different areas of medicine and work together to provide comprehensive and expert care. Sub-specialisation allows doctors to gain extensive experience and knowledge in their area, stay up-to-date with the latest technologies and be highly skilled in their specific field. We strongly believe this enables us to provide our patients with the best and most advanced treatments. Our 10,000 square foot flagship clinic, located in the heart of Central, opened in 2005. With the increasing demand of patients, our Tsimshatsui branch opened in 2010. Both clinics are equipped with state-of-the-art equipment such as full body x-ray machines, open MRI scanners, Exercise Treadmill ECG, and Exercise Stress Echocardiogram. The MRI in Central is equipped with a weight-bearing function which allows us to assess the spine in an upright position. We strive to deliver a one-stop-shop solution by providing a wide range of paramedical services including: physiotherapy; podiatry; occupational therapy; dietetics; and clinical psychology under the same roof. Our doctors also consult in Beijing, Shanghai and Guangzhou. Please click here for more information. "We aim to provide high quality medical and paramedical services by providing a one-stop shop that focuses on service excellence through continuous improvement." Excellence. We strive to deliver the best outcomes and highest quality service through the dedicated effort of every team member. Teamwork. We collaborate with each other including our providers to deliver comprehensive, integrated and quality health care. Compassion. We demonstrate our commitment to world-class care by providing a caring and supportive environment for our patients, patients' families and physicians. In October 2016, Asia Medical Specialists was awarded with a 'Gold Seal of Approval' for Ambulatory Health Care Accreditation from The Joint Commission International (JCI) by demonstrating continuous compliance with their internationally recognised standards. We are also the first clinic in Hong Kong to attain this accreditation. Since 1994, JCI is the world's largest health care accrediting body. JCI accreditation is considered as the gold standard in global health care, the Gold Seal of Approval is a symbol of quality that reflects an organisation’s commitment to providing safe and continually improving patient care. To receive the Gold Seal of Approval, we are required to comply with a series of standards in patient safety, patient assessment and care, medication management, quality improvement, infection prevention and control, governance and leadership, facility management, and information management. The JCI accreditation is re-assessed every three years to assure we provide high quality services to our patients. Besides, Asia Medical Specialists obtained ISO 9001:2015 certification in December 2015 and ISO 9001:2008 certification since 2008, which are internationally recognised marks that focus on quality management, reliability and continuous improvement. We follow a set of quality management principles for our operations and services to ensure a common sense approach in managing business activities throughout the organisation. 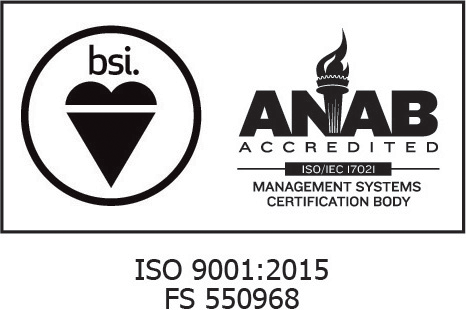 To maintain the ISO 9001:2015 certification, we are audited annually by the British Standards Institution (BSI) and by our qualified internal auditors. Our efforts in keeping to the stringent requirements of the ISO 9001:2015 standard demonstrates our commitment towards fulfilling our mission.